http://hoffnungswolke.booklikes.com Bookish thoughts!!! 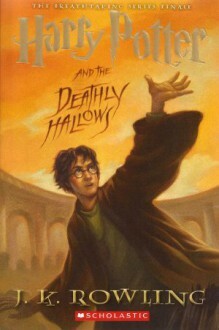 5.0 Die Heiligtümer des Todes // The Deathly Hollows!!! text Die Heiligtümer des Todes // The Deathly Hollows!!! ⭐5 stars⭐"Six years to the day we met, Harry, d'yeh remember it? ""Vaguely," said Harry, grinning up at him. "Didn't you smash down the front door, give Dudley a pig's tail, and tell me I was a wizard? ""I forget the details."